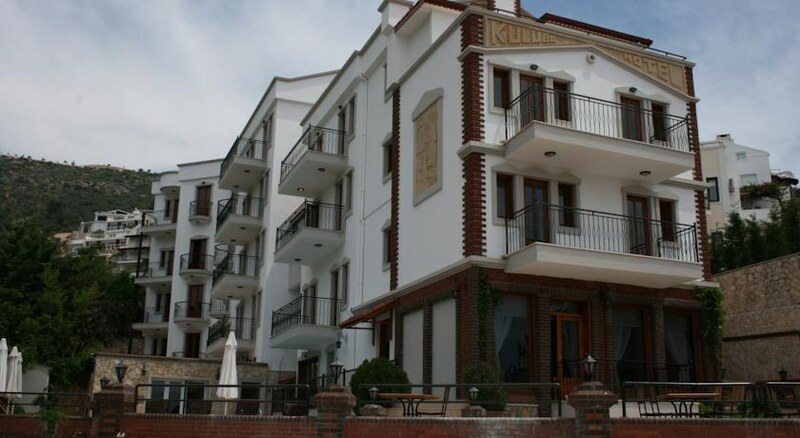 Situated in a hillside location, Kulube Hotel offers terraced gardens and rooms with views of the Mediterranean Sea. The hotel has saltwater and freshwater pools, and a wellness centre with Turkish bath. 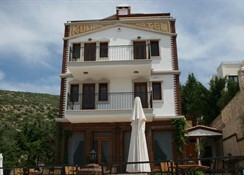 All rooms at Kulube Hotel include air conditioning and minibar. Some rooms also feature a spa bath and balconies with sea or mountain views. 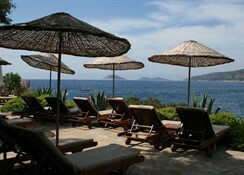 Kulube Hotel has sun loungers placed on the rock carved platforms by the sea. Guests can benefit from the sauna and the massage room. A range of beauty treatments and therapies are also available. 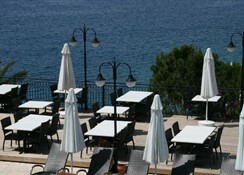 The restaurant of Kulube offers a terrace with beautiful sea view. The pool bar provides refreshing drinks and snacks. Local mini buses run regularly to the small fishing town Kalkan, where guests have diving opportunities. 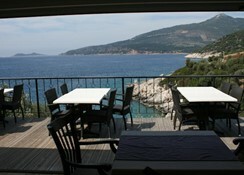 Guest can also visit Kas, which is less than 30 km from the hotel. With its exceptional views out to sea, this small beach hotel features extensive gardens with terraces leading down to multi-level beach platforms. 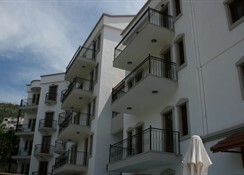 It comprises a total of 44 accommodation units, including 38 suites. Facilities on offer to guests at this air-conditioned establishment include a lobby area with a 24-hour reception and check-out service, a hotel safe, a currency exchange facility and lift access. There is a TV lounge, a cafe, a bar, a pub and a restaurant, while guests will appreciate the wireless Internet access and laundry service (charges apply). Parking is also available for those arriving by car. This hotel is for adults only, and only guests age 16 and over are accepted.